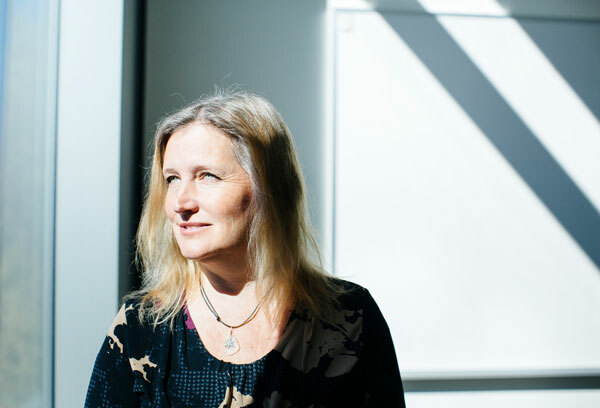 Pink is the new green, thanks to technology developed at UC Santa Cruz. Greenhouses have a long list of benefits: higher food production, less water use, potentially less pesticide use, a year-round growing season. There’s a problem: they’re expensive, both to install and to operate. 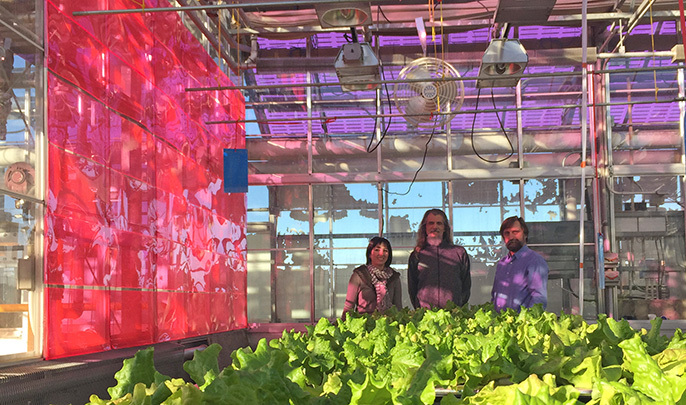 But thanks to solar technology developed at UC Santa Cruz, greenhouses are enjoying a new moment in the sun. The idea to apply transparent solar panels to greenhouses came about as a happy accident. Carter and her research team were working on luminescent solar concentrators, which use a fluorescent dye to absorb light and make solar panels significantly more efficient. Plants don’t use the entire spectrum of visible light for photosynthesis — grow lamps optimize the colors of light that plants actually use to grow. 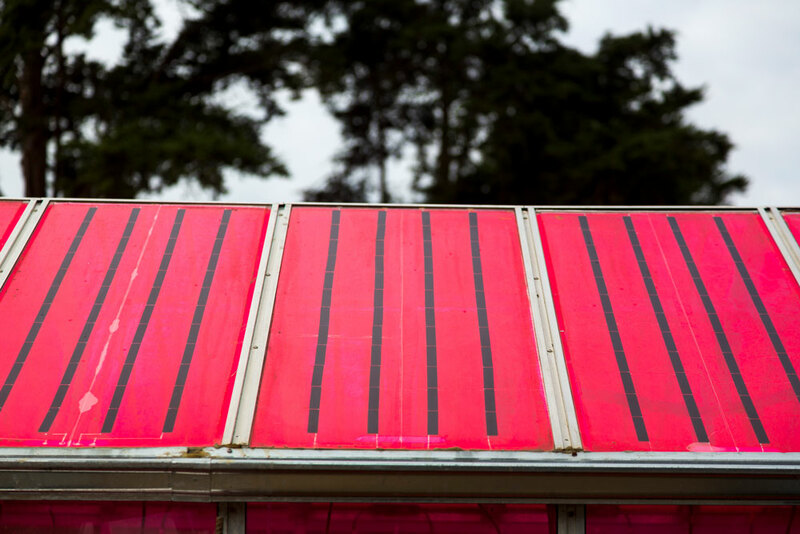 The solar panels developed in Carter’s lab absorbed green light and emitted red light to enhance the power generation of the solar cell — and the excess red light happened to fall exactly in the range of the spectrum that plants use. Soliculture’s director of engineering and UC Santa Cruz alumna Melissa Osborn, with members of the Alberta Innovates-Technology Futures team, conducting trials of Soliculture’s solar panels in a lower light location. 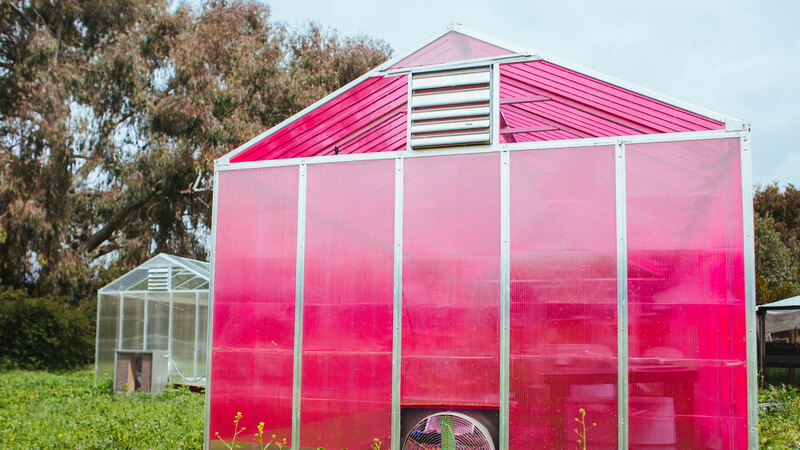 “California is one of the biggest users of greenhouses in the country — if not the biggest, and it will only get bigger,” said Carter, citing as two drivers the California drought and increased demand for organic produce. A net-zero greenhouse is easier to achieve if you’re in a temperate climate along the coast, like UC Santa Cruz. But what about other, drier areas of California, like the Central Valley or Inland Empire? UC Riverside's new solar greenhouse. 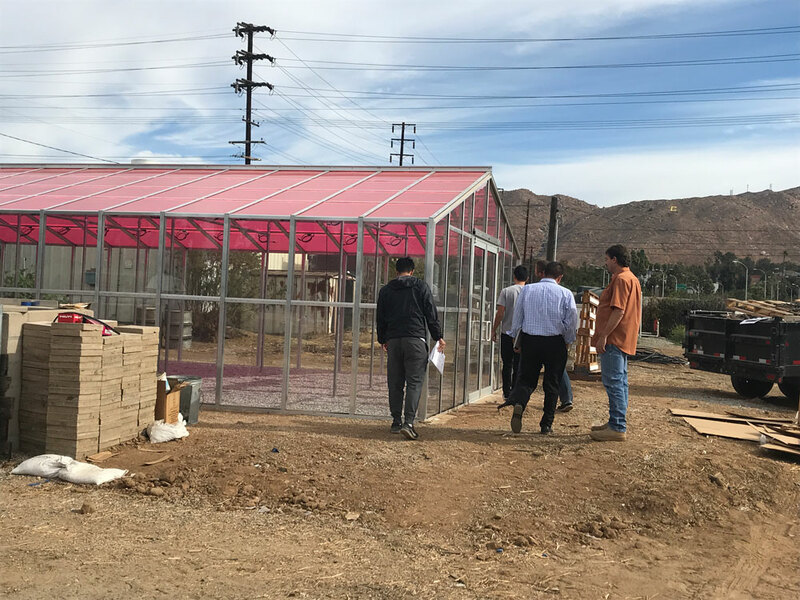 To build their pink solar greenhouse, UC Riverside engineering groups pitched in, donating lithium ions. They want to see if the greenhouse can handle the often withering conditions (up to 140 degrees Fahrenheit sans cooling in a greenhouse in Southern California) without adding extra panels. Here again, the color of the panels is helpful. Not only do the panels provide electricity to power swamp coolers, but the colored shading of the panels keeps greenhouses cooler and can eliminate the need for blinds. A close-up of the panels used in the solar greenhouse. Startups like Tule Technologies based on UC Davis technology are helping California growers adapt to limited water supplies, and clean energy startups from wave energy to next-generation battery manufacturers are emerging out of UC inventions at a rapid pace.